Posted on 28/02/2014 by U.N. Images now on my website. 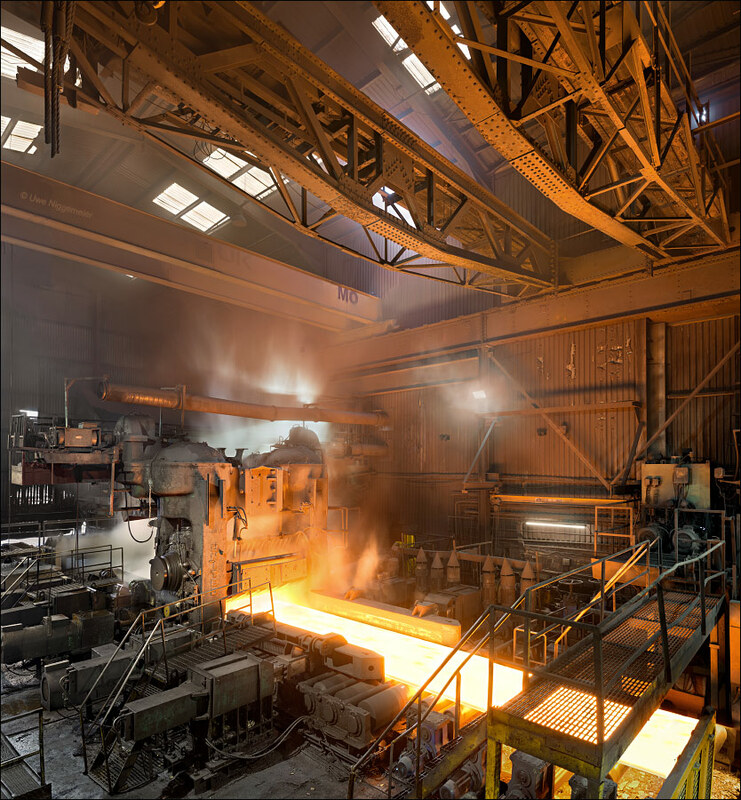 The heavy plate rolling mill in Gateshead, UK dates back to the former Redheugh Iron and Steel Co founded in 1918. The company rolled plates and sheet and provided welding, steel constructions and engineering. Redheugh Co employed more than 800 people in the 1960ies. In 1970 the company was taken over by Spartan Steel&Alloys from Sheffield. In 1975 a new 2,1 meter heavy plate rolling stand was installed. Spartan Redheugh was absorbed by the Firth holding company in 1988. In 2001 the Gruppo Malacalza of Italy bought the plant and sold it again in 2008 to the Metinvest group from the Ukraine.